The shapes of the trunk and branches of Japanese maples are wonderful silhouettes in the winter. 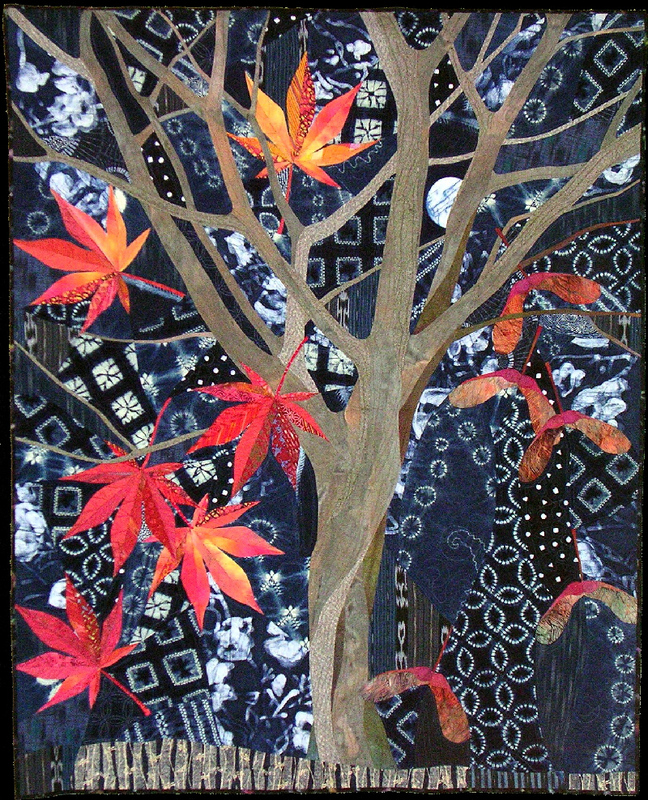 The use of a big collection of indigo dyed fabrics in the background gives a feeling of late evening to the quilt. One big polka dot from one of the indigoes was carefully placed among the branches.